Early in the morning on September 27, 2008 I wandered in through the front door and up the stairs to CubeSpace to attend the inaugural WordCamp Portland. It was a day of wonder, entertainment, and learning that would stick with me for years to come. It was very early on in my involvement in the Portland tech scene and it helped to shape and my inform my approach to blogging, podcasting, and community. While my community involvement has waxed and waned through the years my interest in technology, blogging, and open source has been ever present. If I were a cat my curiosity surely would have ended me by now, but instead of leading to my demise it’s brought me an opportunity. In May I’m stepping out of the warmth and safety of my current job and starting down a new path as Dot Organizer at Automattic. That’s right. Cami Kaos is going to be an Automattician. It’s a big change and I’m looking forward to the growth and edification it will take to thrive there. I don’t know that I could possibly be more excited for this opportunity to work with an amazing and diverse group of people within such a passionate and embracing company. This has been a time of great personal growth for me and I’m proud to say that momentum has carried over into my professional life as well. Now to pull up my boots, roll up my sleeves, and jump in. As stated before, congratulations, we are very proud of you. Super proud. Super happy for you! WordCamp organizers don’t know how lucky they just got. 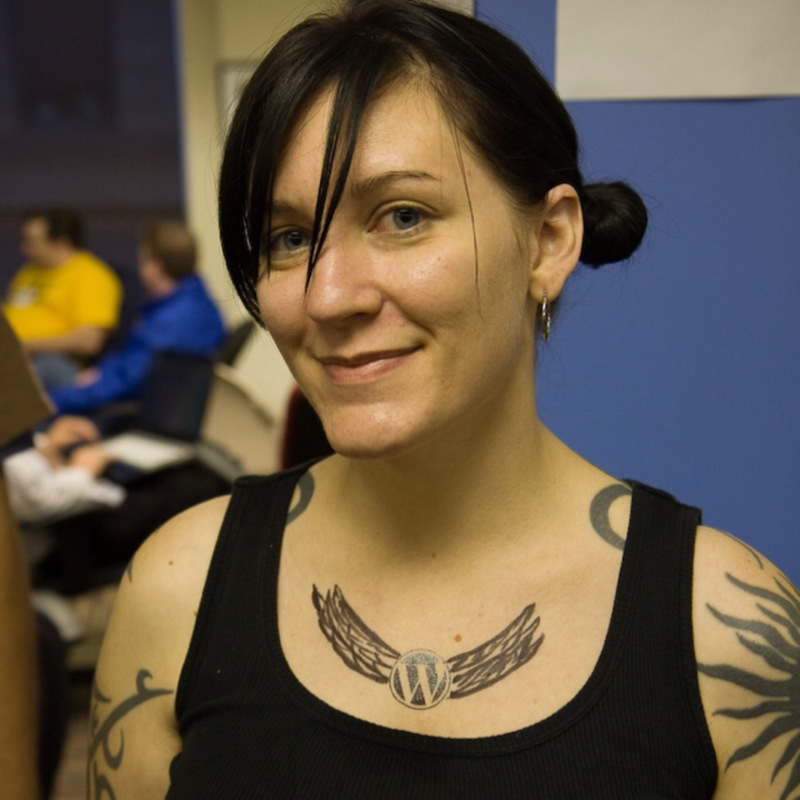 WordCamps + Cami = winning! FANTASTIC! That’s wonderfully exciting. Cheers to you! You definitely deserve it. HUGE congratulations to you!! So deserved! Did you win the fake tattoo competition? Thank you all so very much! I can’t wait to get started. Oh… and congrats and things. See that last comment right there? Right above this one? That was the comment from my wonderful, supportive, and gracious soon to be former employer and still great friend. I’ve been very lucky in my employment. Thank you, Jason.